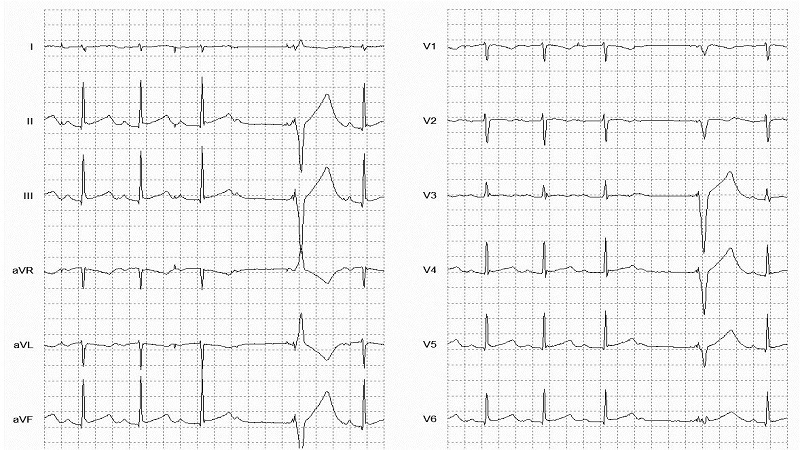 Atrial pacing will appears on the ECG as a single pacemaker spike followed by a P-wave. The P-wave morphology is entirely dependent upon the location of the atrial lead. The PR interval and the QRS complex are independent of the atrial pacemaker, and are determined by the intrinsic characteristics of the patient's normal conduction system. Pacing is continuous if the rhythm is entirely paced, or intermittent if the atrial pacemaker is in a demand mode.